Manufacturing companies are in a constant battle to stay ahead of the competition, meet deadlines and keep customers happy. To add to the burden, more than half of manufacturers say that too much time is spent on managing processes (such as approvals, expenses and document management) than conducting actual business. While many organizations have embraced automation to ease the workload surrounding some of these processes, the results aren’t always as good as they should be. Technologies that should be enabling manufacturers to keep pace or stay ahead of schedule aren’t doing what they’re supposed to. But it’s not necessarily the technology’s fault. In many cases, there are major obstacles preventing manufacturers from using automation to its fullest advantage. 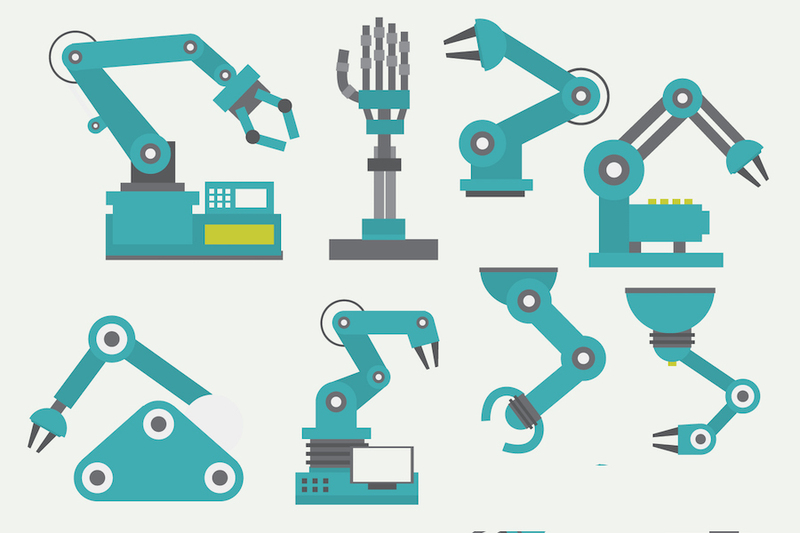 Here are three of the biggest obstacles that manufacturing companies face that could be limiting the success of workflows and preventing automating from being effective. Sometimes manufacturing workflows can be slowed down by the wrong technology solution. Using fax machines will cost more time and energy than sending an email, for example. It’s important for manufacturers to understand which technology will go the furthest to solving bottlenecks in a workflow. But in many cases, it’s not so much an issue of using the wrong technology, but rather of applying technology to a situation where there is underlying problems left unaddressed. According to Kentaro Toyama, former co-founder and assistant director of Microsoft Research India, businesses tend to throw technology at problems without first understanding why processes are failing (i.e. why they need that technology to begin with). Simply put, technology amplifies the process. If the process is poor, then technology can actually make the situation worse. Before companies look into workflow automation or other solutions that might aid in solving problems (like using email instead of sending a fax, or even automating notifications instead of sending emails), the focus should first be on understanding workflow bottlenecks. In most organizations, there are two key contributors to bottlenecks: performers and systems. If you implement a workflow solution for your software needs, but fail to properly train performers to initiate or respond to that workflow, you’re setting yourself up for failure. When it comes to improving workflows for manufacturing companies, the first place to start is identifying bottlenecks. Major bottlenecks are often the easiest to see. If production is delayed by a week because an employee filled out the wrong form, it’s clear to see where the issue lies. But bottlenecks that are ignored, or too small to gain enough attention at first, can turn into invisible monsters later on. Steve Borris explains that many organizations can go years ignoring bottlenecks while scratching their heads as to why production value is so low. “It seems as though most bottlenecks are visible. The problem is that we often choose to ignore them,” he says. Over time, those ignored bottlenecks can become nearly invisible. If business processes are like a chain, then the bottlenecks are the weakest link. Eventually the link will break, but you won’t know which one is in danger of breaking until it’s too late. The only solution to the invisible bottleneck, Steve suggests, is adding new information – an outside pair of eyes – to shed new light on a problem. Companies that want to improve their workflows may not realize just how many bottlenecks they have, or where they originate. Hiring a workflow expert, or performing a workflow audit, can help bring new information to processes that might otherwise remain the same over time. Manufacturing companies, both large and small have dozens, if not hundreds or thousands of workflows in operation at any given time, whether they realize it or not. But many of these workflows are left undefined, or unmapped. The problem with undefined workflows is that they often develop quickly, out of need, and without the foresight to make them truly efficient. Over time, inefficient workflows become entrenched as a part of the work culture, making them harder to break. If you’ve ever said something like, “This is the way it’s always been done,” it could be an indication of an undefined workflow that has become ingrained into the organization. Many times, workflows are left undefined because identifying processes and bottlenecks is time consuming. 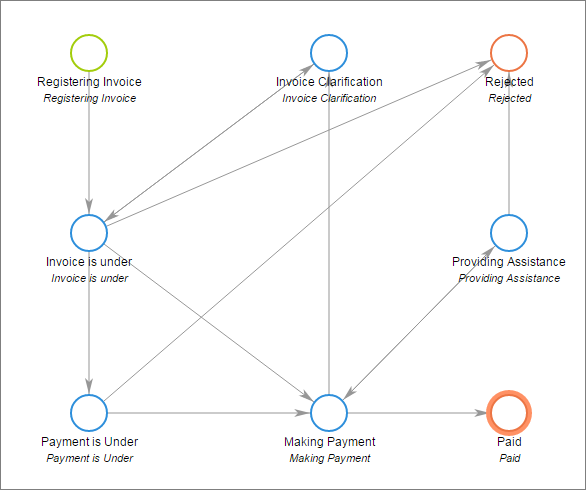 Workflow maps are designed to document processes and give you a reference point along with a bird’s eye view of how things should be done. They allow you to analyze the steps in a process and determine whether some can be automated, or if there are too many steps that need to be cut out, or if there are bottlenecks that will slow down production. Without first outlining your workflows, you won’t know which technology to apply to which process. If you want your manufacturing processes to be as efficient as possible, you need to start by mapping your workflows. Mapping your workflows allows you to see invisible bottlenecks (those that have been ignored) that are currently hindering your operations. It also allows you to assess the technology you’re using to ensure it’s the absolute best solution. When you understand how and why your workflows exist, you can apply automation to specific steps (like this company did with Gravity Flow) and improve those processes over time. Without process mapping, you’re left spending thousands on technology that may or may not work, scratching your head over bottlenecks you can’t find. 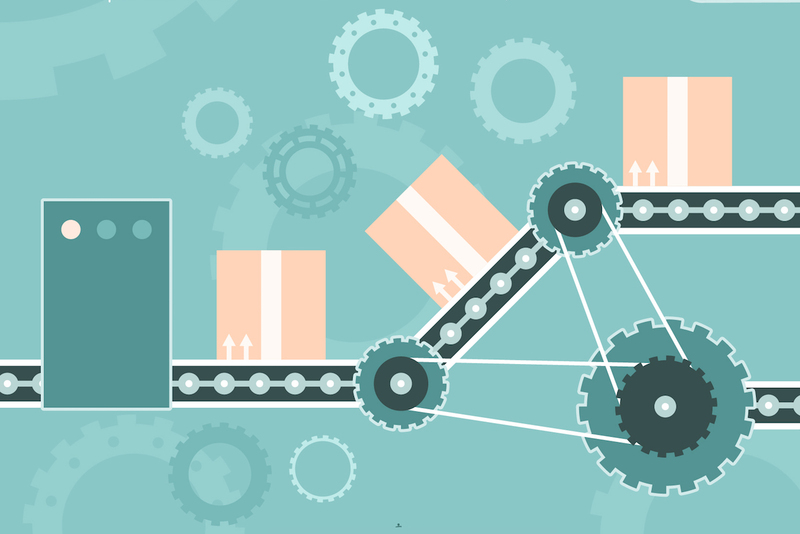 Here’s a quick look at the steps needed to map a manufacturing workflow. Subscribe to get this free resource.